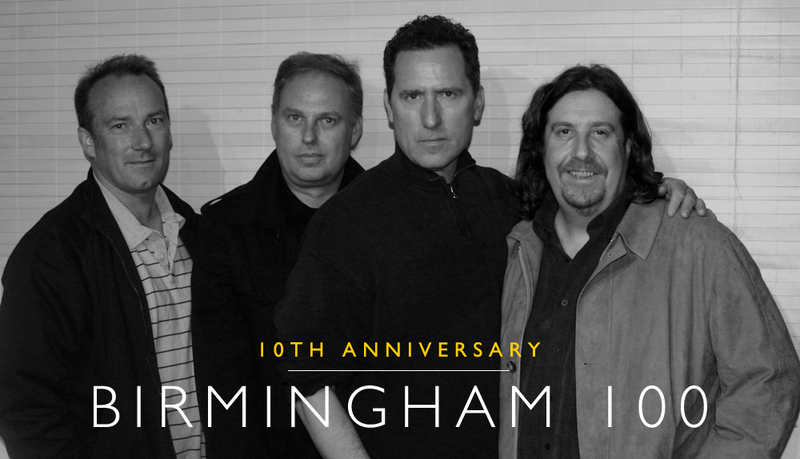 Today marks the 10th Anniversary of the event that came to be known as the ‘Birmingham 100’ – an event which saw a reformed Orchestral Manoeuvres In The Dark playing together on stage, the first time the classic line-up had done so since 1988. The early 2000s could be summed up as OMD’s wilderness years. 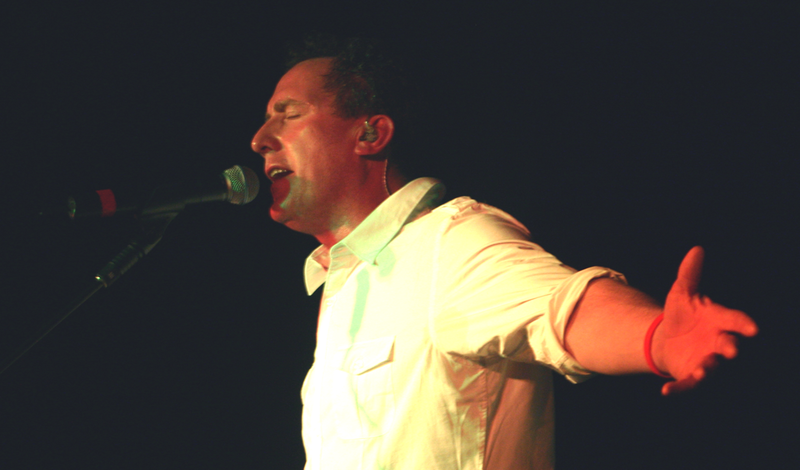 Although the original band had split in 1988, Andy McCluskey had continued on as OMD with the release of the successful Sugar Tax album in 1991. 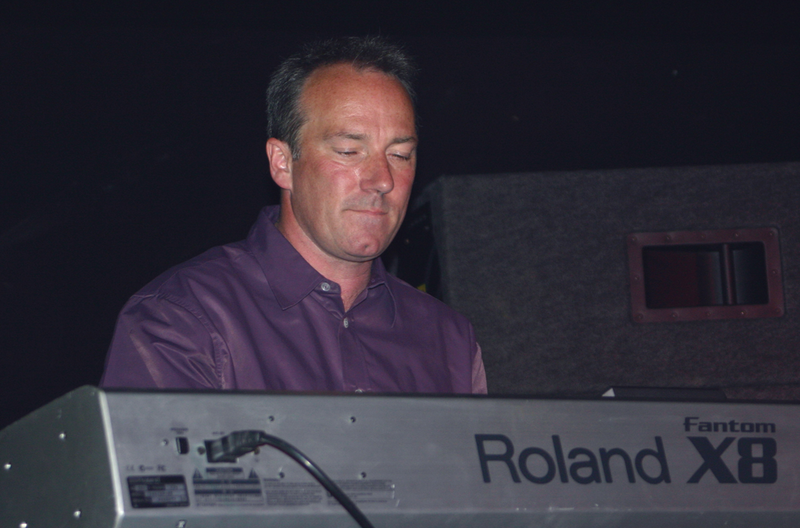 But dismayed by the response to the album Universal in 1996, McCluskey had retired the OMD name to focus on developing younger acts, such as Atomic Kitten. Post-split, Paul Humphreys, Mal Holmes and Martin Cooper had formed The Listening Pool, but by 2000 Humphreys had formed a partnership with Claudia Brücken (Propaganda) for a new musical venture known as Onetwo. The idea of OMD returning to the music industry as a band at this stage seemed an unlikely prospect. Despite this, McCluskey hadn’t completely shot down the idea when quizzed on the topic for an interview for the OMD Website back in 2001. But the catalyst for an actual OMD reformation didn’t occur until 2005 when the OMD Event Fan Gathering saw both Paul Humphreys and Andy McCluskey together again as guests. When a German TV show asked the band to record a performance for them, things swiftly came together for OMD’s revival. OMD had enjoyed a critical reassessment in these years from a variety of writers – including praise for what’s considered their ‘difficult’ album Dazzle Ships. Certainly Architecture And Morality was now viewed as a classic album of its era, also one that had a timeless appeal. So the idea of the band performing the album in its entirety live seemed like an obvious move. With the first dates slotted in for 2007, an idea had formed for a warm-up gig specifically aimed at the OMD fan base. The venue of choice was Robanna Studios, a rehearsal and performance space in Birmingham. Tickets for this special performance were restricted to the capacity of the venue (which is how the event came to be called ‘Birmingham 100’) and sold via the OMD Website. For many OMD fans who had never seen the classic line-up perform before, this was an unexpected surprise. For older OMD fans, it marked the start of something that they had never thought to see again. OMD, as a 4-piece, hadn’t performed together since their 1988 US concert supporting Depeche Mode at the Pasadena Rosebowl (they hadn’t performed in the UK since 1986). 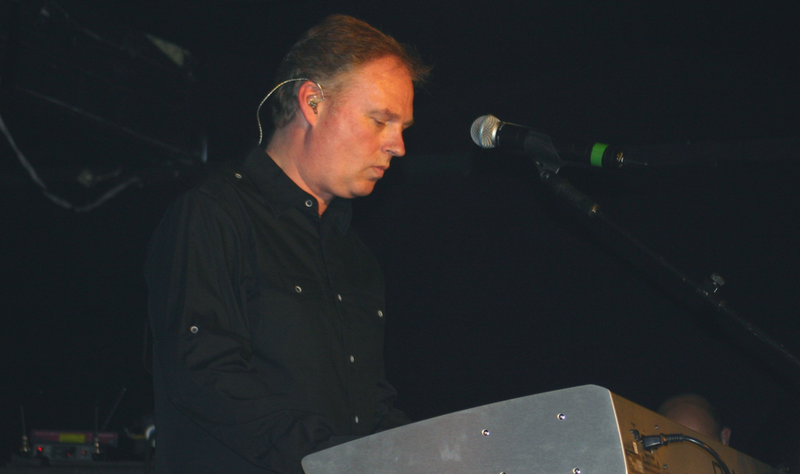 In a fortuitous chain of events, film maker Rob Finighan had also been in the process of filming an independent documentary, which focused on OMD’s extensive musical career. 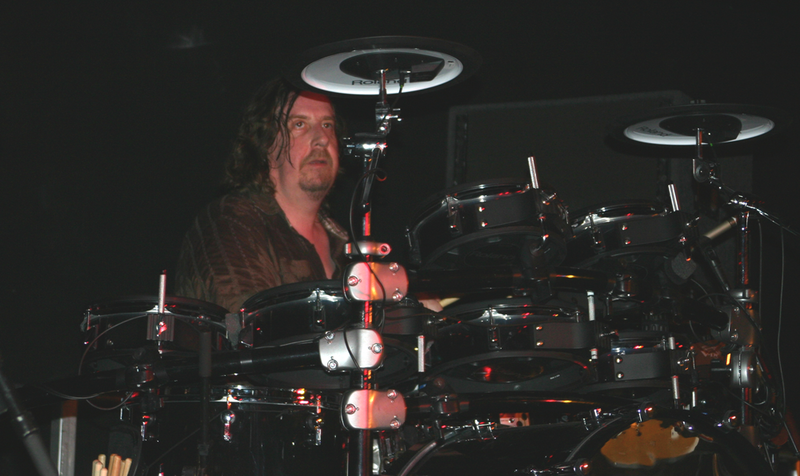 As a result, he filmed some of the events at Birmingham, including interviews with the band and fans, which later turned up on the Souvenir DVD. Perhaps the biggest surprise however was how fresh the songs sounded. The gothic sweep of ‘Sealand’ and the muscular thrash of ‘The New Stone Age’ gave a reminder of how powerful a force OMD had been during the 1980s. Equally, the likes of ‘Souvenir’, ‘Joan Of Arc’ and the iconic ‘Maid Of Orleans’ demonstrated that the band had an arsenal of songs that could still hold their own against contemporary bands. Even on the small stage area, Andy McCluskey was able to indulge in the classic ‘windmill’ dancing that’s become forever associated with performances of ‘Maid Of Orleans’. Having polished off the Architecture And Morality segment, the rest of the performance offered up more of the electropop classics in the form of a particularly exuberant ‘Tesla Girls’, a nod to the US fanbase with ‘If You Leave’ and revisiting ’90s OMD in the form of ‘Sailing On The Seven Seas’. The loudest response was offered up for what are arguably OMD’s signature tunes, such as the frenetic pop rhythms of ‘Enola Gay’ and the pure energy of ‘Electricity’. It’s a power that carried into the audience themselves as the entire atmosphere held a charged quality to it which suggested this was a night that would stay in people’s hearts and minds forever. Naturally, this performance was merely a test run for the concerts to follow in the UK and Europe. But for many, the Birmingham 100 set the tone for the OMD reformation itself. For those that had kept the flame of hope alive during the wilderness years, their patience had paid off with a show that was both unique and special. As Andy McCluskey remarked in the Souvenir documentary: “I’m optimistic that this is going to be a good period. I think we’re doing it for the right reasons. We’re enjoying it – so far. I’m hoping that the tour we’re about to undertake will be the beginning of a new chapter that I suppose we didn’t think would ever happen. We thought the book was closed so we better make sure that it’s a good chapter to read”.